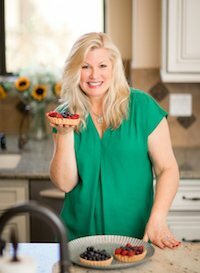 My husband and I recently celebrated our 20 year anniversary by taking the Portraits of Southern France- Viking River Cruise. 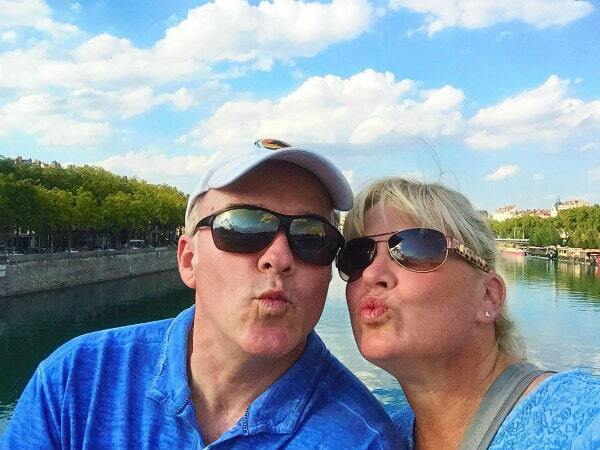 Viking River Cruises has several itineraries to choose from- through Europe, Russia, Asia and Egypt, but we thought France would be the most romantic… and since we have some relatives who live in Provence 6 months of the year, it was the perfect choice! 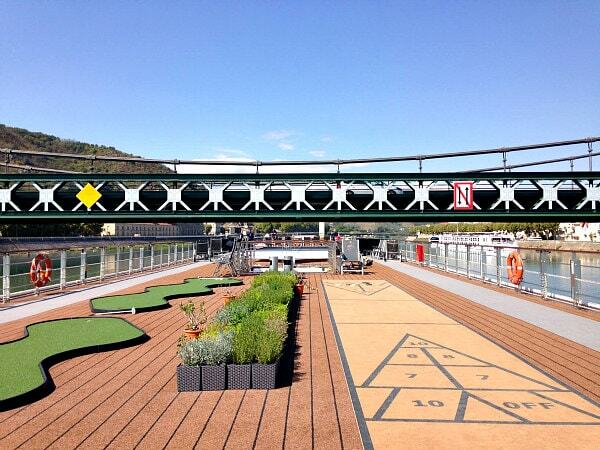 Here’s a sneak peek at the riverboat. I have taken ocean cruises before, but this was my first river cruise. The boat is a manageable size for getting around, and it’s generally a quiet, smaller group of people who travel on these cruises. We chose to fly into France a couple of days early- we flew into Paris and then took the train down to Avignon. You can catch the train easily right at the airport. We chose 1st class on the train since we knew we’d be exhausted and wanted to be comfortable. It was a good choice. It’s about a 3 hour ride, and we were able to enjoy the beautiful countryside and snooze a bit too. 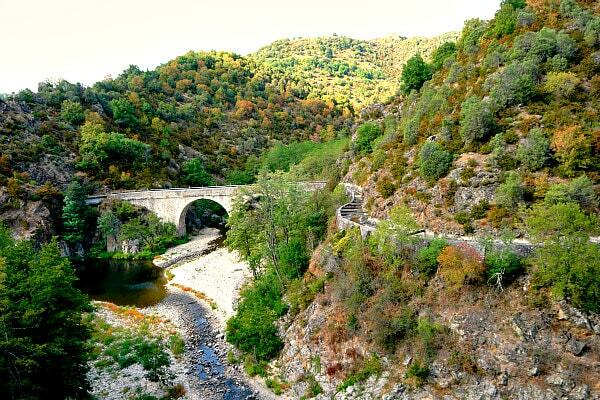 My husband’s cousin and his wife recently bought a home in the village of Bonnieux- about an hour from Avignon. They picked us up and whisked us off to their adorable town. 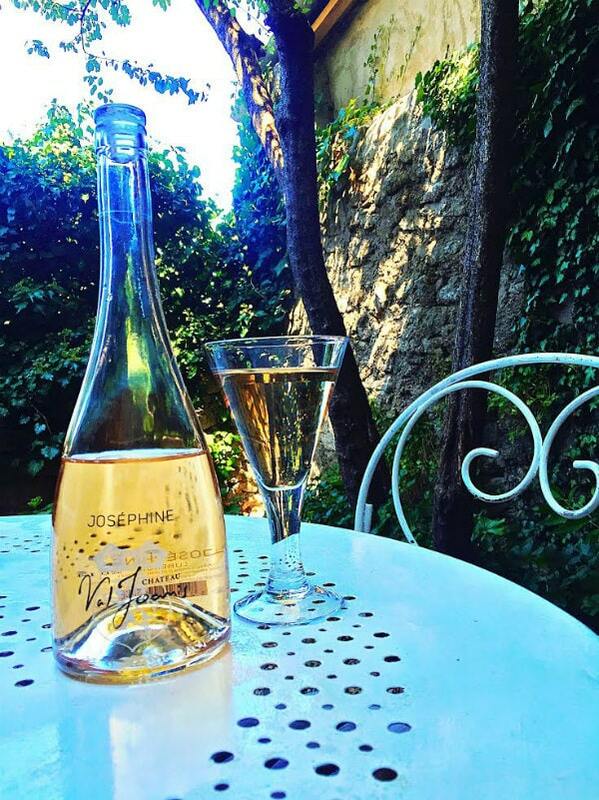 We sat in their backyard garden and enjoyed the most wonderful local Rosé, cheeses and other goodies. 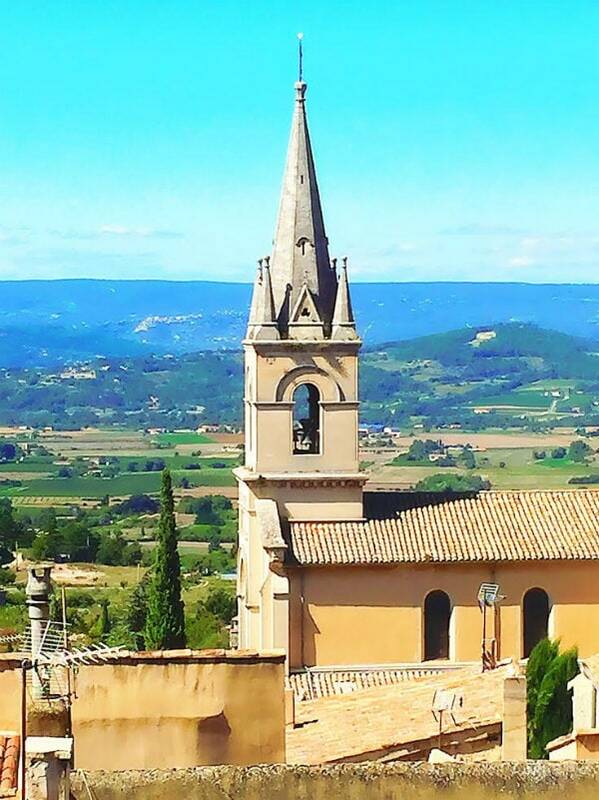 This was the view from our guest room in their French home. 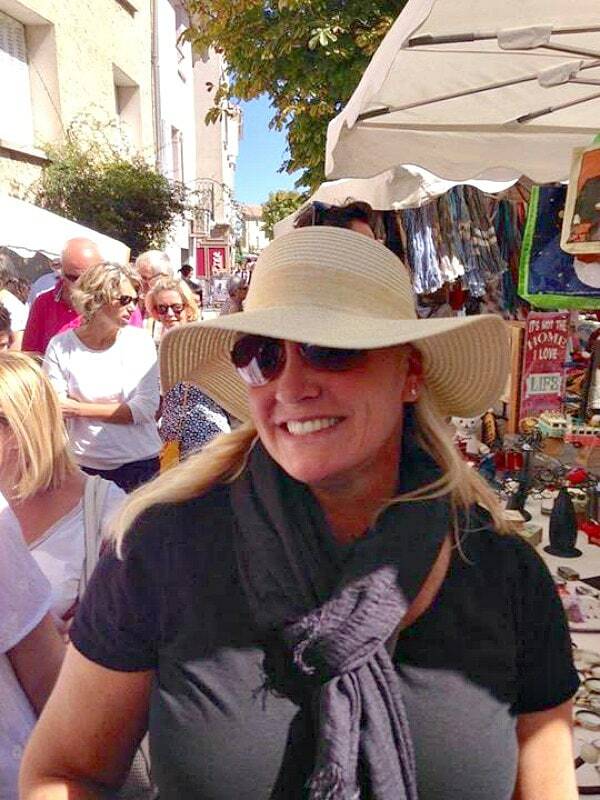 We visited a market in a nearby town to pick up hats and scarves for our week on the cruise. This is my attempt to look French. 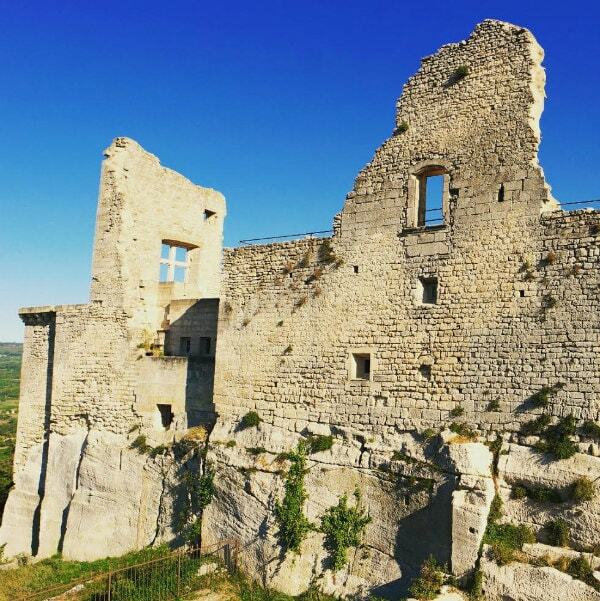 One of the sites they took us to in the area (Vaucluse) was Château de Lacoste, the former residence of Marquis de Sade- 1760. Interesting fact: most of his works were written during his 19 years in prison. His family declared him insane in 1803, and he spent 13 years in an asylum. Pierre Cardin bought the castle in 2001! We had a wonderful time on our pre-trip- touring around the area, but now it was time to board the boat and begin our cruise! We were dropped off later afternoon at the boat in Avignon. What a treat to be greeted by such friendly staff. Our room was small- but perfect for two people. 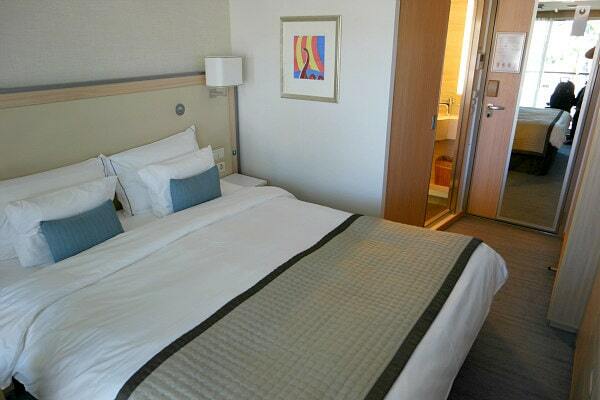 The bed was extremely comfortable, and the bathroom was more spacious than I expected. There was a blow dryer, an iron, and the plugs were standard USA. We had a most wonderful balcony too. 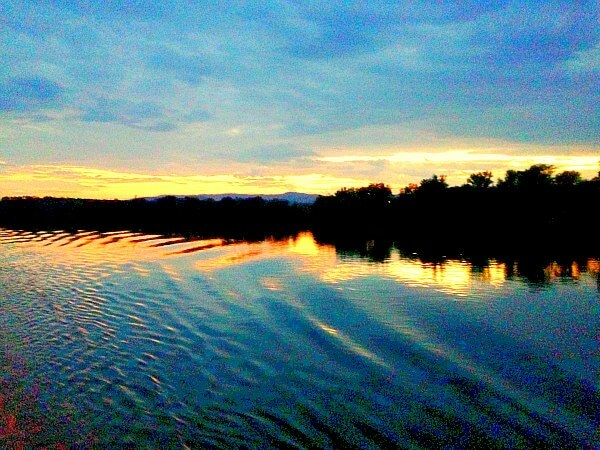 The first evening on the boat, we grabbed a glass of wine in the bar and then headed into Avignon for dinner. Everyone else ate on the boat the first night, but we were excited to explore the city and try a French restaurant! We opted for Les 5 Sens, a fancy sort of restaurant. After a delicious starter of sweet bread with pistachio, marinated tomatoes and burrata… we had a cassoulet (hearty and delicious) and pork foot (aka pig feet). I wouldn’t recommend the pig’s feet- it was weird! But it was a delightful evening, and a beautiful walk into the city of Avignon. 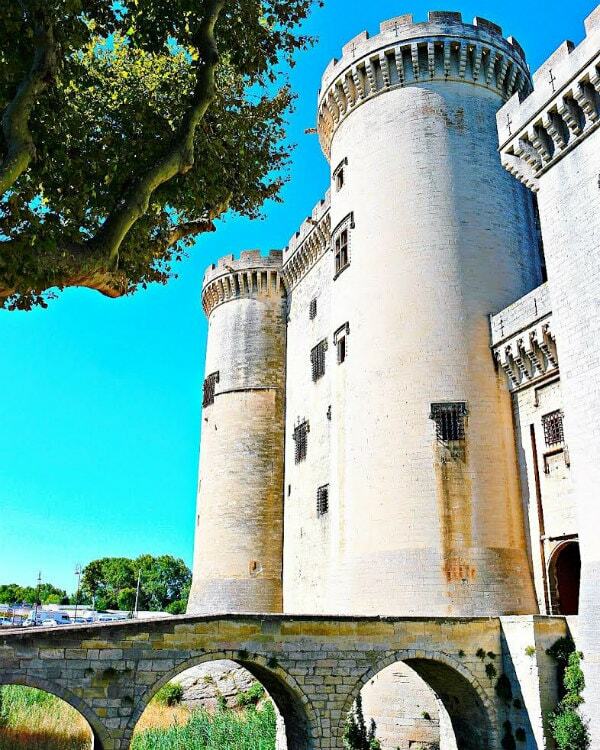 There were tours included in the cruise today- a walk around the town of Arles with a visit to a Roman Amphitheatre and a motor coach tour through Provence visiting Les Baux and Saint-Rémy-de-Provence. Since our relatives were still nearby, we opted to spend the day with them instead of doing the cruise tours. This castle was kind of a beautiful discovery! We walked into town directly off the boat and spotted the castle of Terascon right along the Rhone river. It’s super cool! Construction began on the castle around 1400- it took 30+ years to build. In the earlier years, it was inhabited by royalty. In its later years, it was used as a prison. I’m just hanging out inside the courtyard of the castle. This just gives you an idea of how ENORMOUS it is! 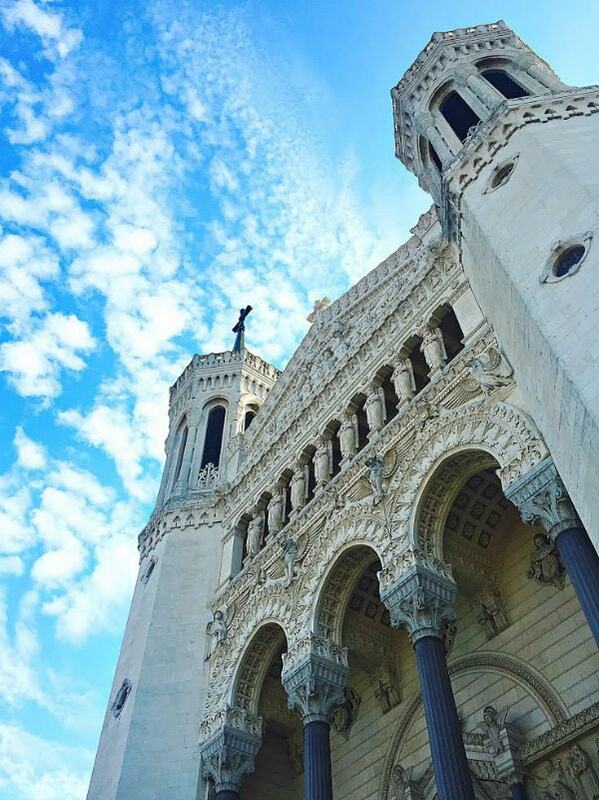 There is a beautiful church to check out too- right around the corner. We spent the day driving through the Alpiles (little Alps) mountains. The Alpilles were immortalized in art by Vincent van Gogh, who painted many images of the Alpilles’ landscapes during his time in Saint-Rémy-de-Provence on the north side of the mountains. We visited a couple of wineries and bought some wine! Viking actually encourages you to buy wine and bring it on board. They do not charge a corkage fee. We had a fabulous lunch in Saint-Rémy-De-Provence. 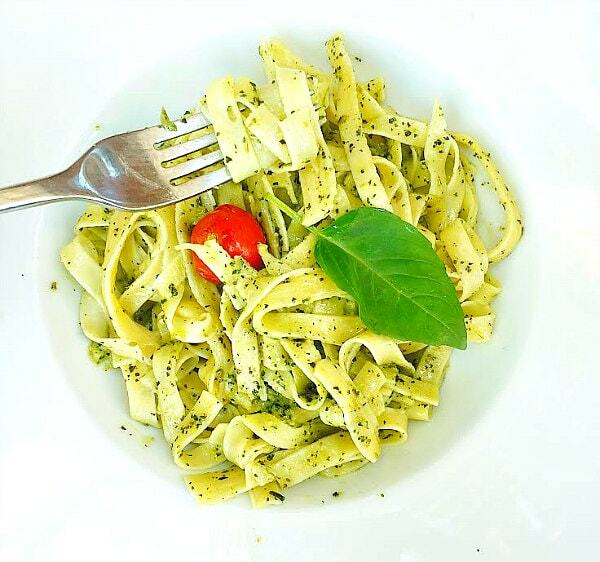 Funny to have Italian food while in France, but it was GOOD. The restaurant was called Le Roma. An amazing chocolate shop – Joël Durand – is right around the corner, so be sure to check that one out too! We opted for dinner in the dining room this evening. I loved eating dinner on board when the boat was sailing and not in port. After the daily briefing each evening, we snuck down to the dining room quickly to choose the very best spot for eating. We were joined by interesting people every night- met so many people who live all over the world. We woke up very early on Day 3 and decided to get warm clothes on and go up on deck to see what was happening. We found that we were in the midst of traveling through a lock. 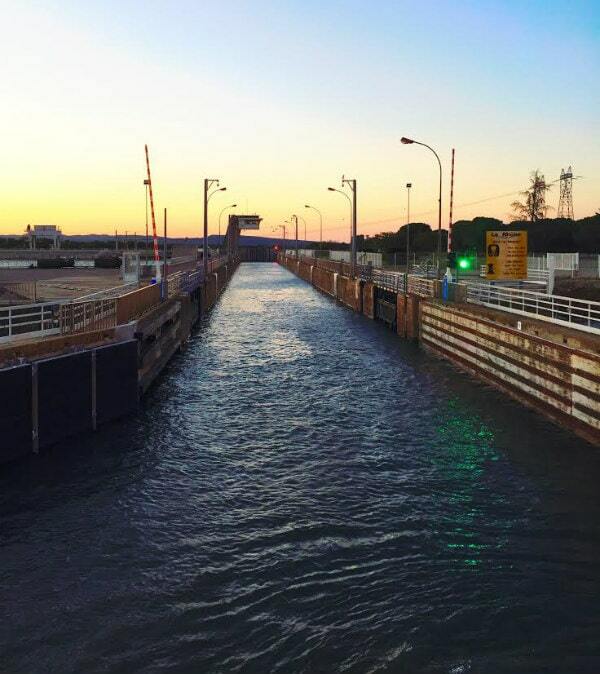 It turns out that most of the waterways in Europe have locks- it’s a dam-like structure to help boats navigate through the river. It has something to do with the water levels. It’s truly an amazing piece of engineering. Our boat went through 5+ locks during our cruise. 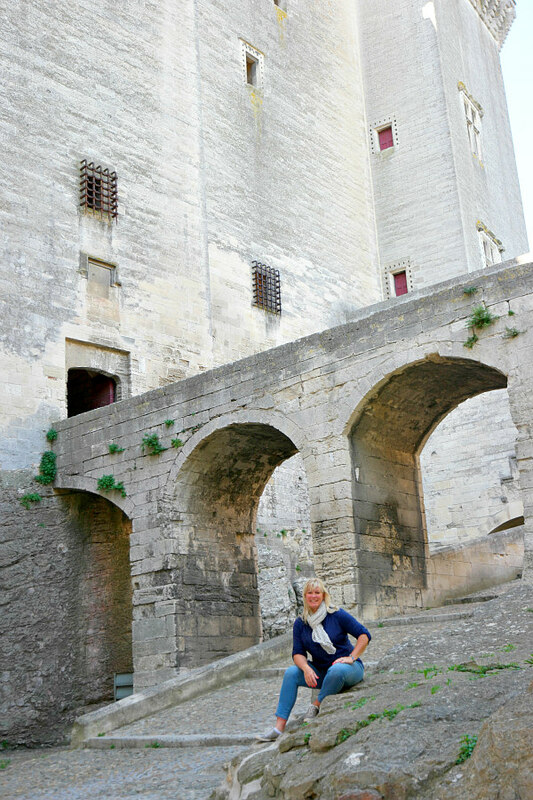 On this day, we ventured on the cruise-included walk into Avignon and a visit to the Pope’s Palace. 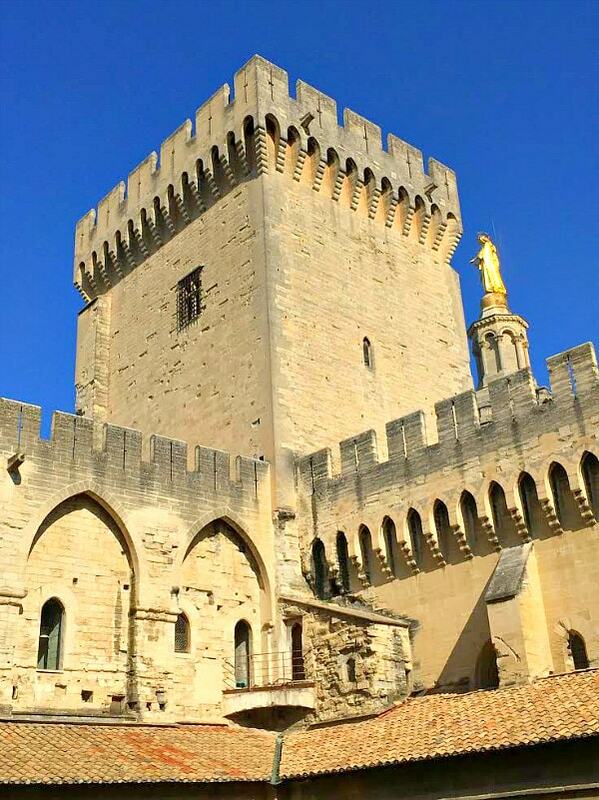 The city of Avignon is a walled city- built originally to protect it from attacks. 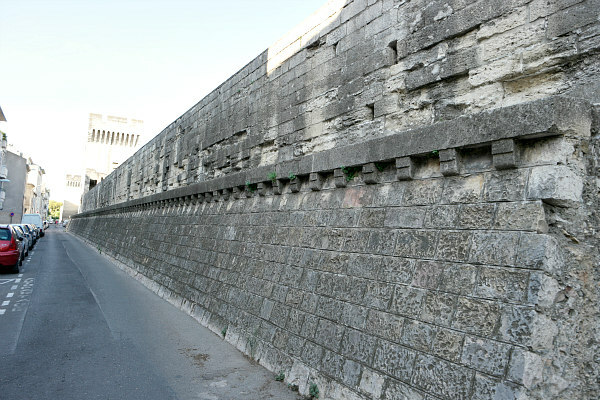 Construction on the walls began in 1355 and it was completed in 1370. 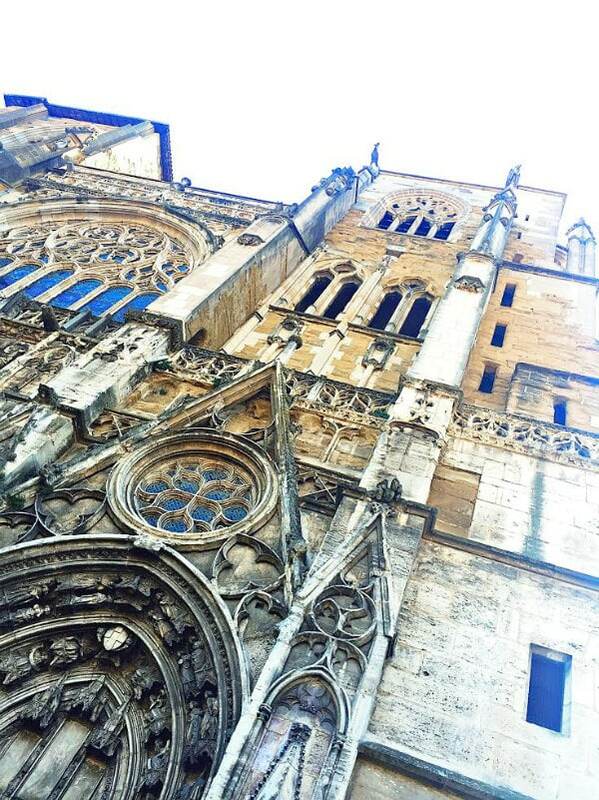 Here is part of the Papal Palace in Avignon- it’s huge and beautiful! 6 Popes resided here in the 14th century. That was new to me… I thought they were always in Rome. See the golden statue of the Virgin Mary? It’s said she was placed in such a prominent position to bless the city. After our Avignon tour, we cruised around town and picked up baguette, cheese and some of these fabulous cookie biscuits. 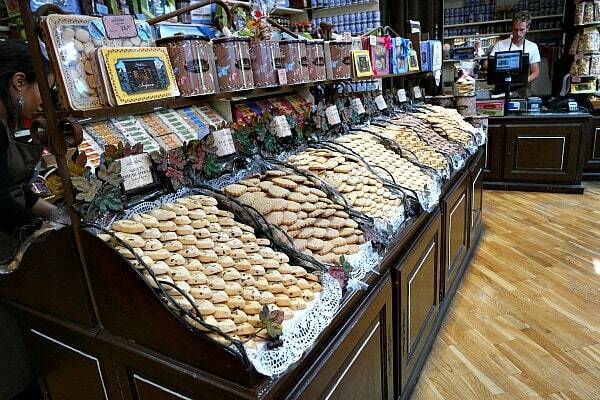 These little cookie shops were in a lot of the towns we saw in Southern France. 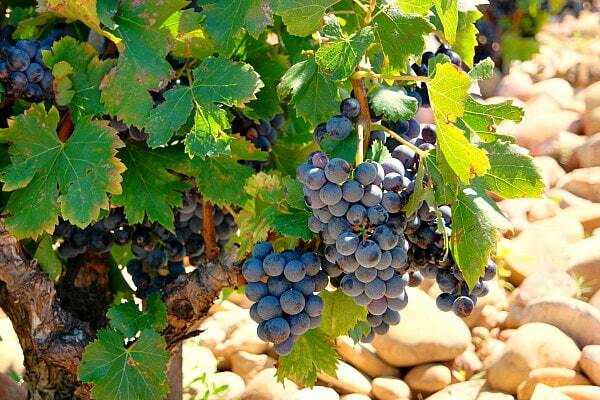 For our afternoon in Avignon, we chose the optional Châteauneuf du Pape Tour and Tasting. We saw where the grapes are grown here- among rocks in the soil (so strange!) and tasted a few wines at their winery. 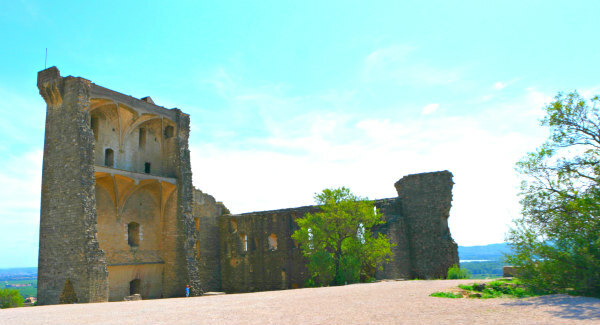 Two Popes from Avignon used this castle in Châteauneuf as their summer residence. It’s amazing that some of the castle wall is still standing! 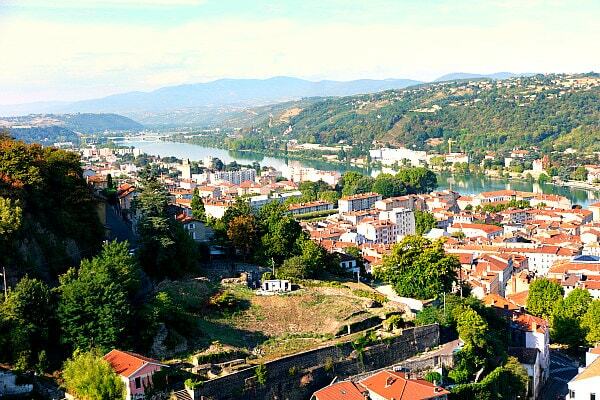 On this day, we sailed in the morning into the charming Rhone River town of Tournon. From the top deck, you can see how very close the top of the ship comes to the bridges that it has to go underneath! 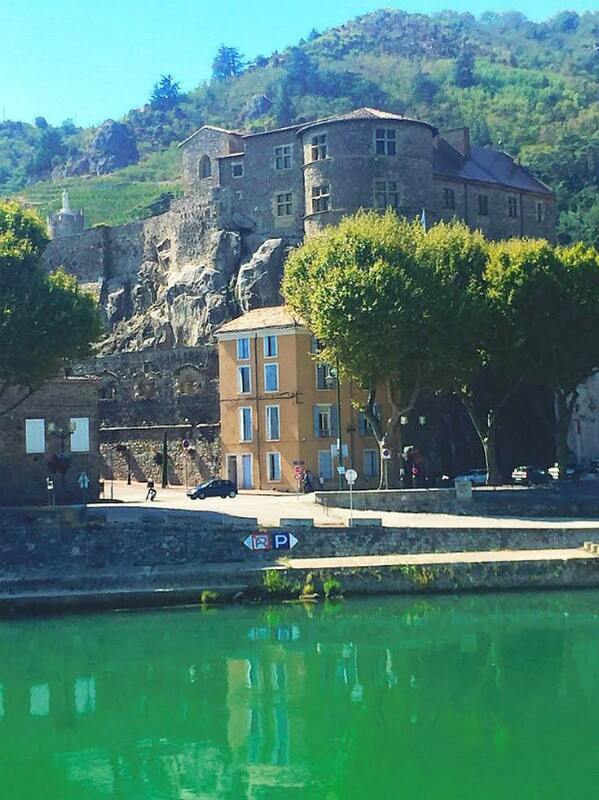 Here is a peek at the Castle of Tournon, which was built into rock along the Rhone river. It’s now a museum. We snuck into town to have lunch before touring today. If you eat lunch in France, it’s HUGE. It’s like dinner with a big meal and wine and the whole bit. 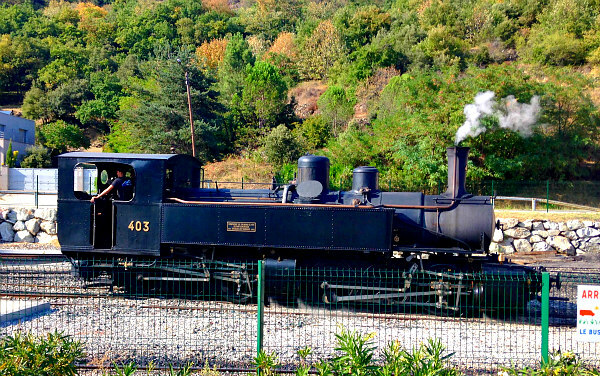 We chose the optional tour today: Tournon Steam Train Tour. It was recommended to not wear your best and definitely not to wear white. This was a good tip! The coal burning to run the train lets tiny pieces of coal into the air. It wasn’t bad, but you definitely get a little dirty on this tour. We needed showers before dinner. The train takes you up the mountain on rails built into the mountainside. It’s beautiful scenery, and for us… the colors were beginning to change for fall. The Valrhona chocolate shop is located in this town. We didn’t go there, but many people did! 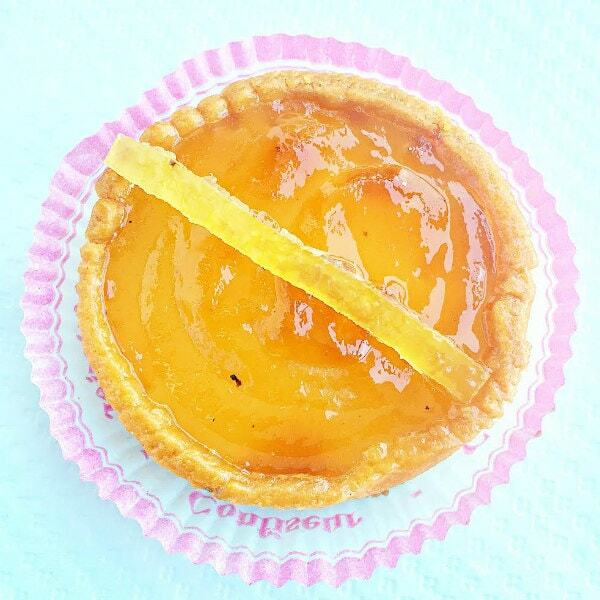 Instead, we grabbed this beautiful citrus tart at a local bakery before heading back to the boat. Today’s included cruise excursions were a walk around the historic town of Vienne and then a mini train ride to see a great view of the city. This view is looking up at a church built in the 15th century. Everything in this town is very Romanesque. We enjoyed a beer in this cute town. The little train on the tour brought us up to the top of the hill with a great view of the town and the river. Directly below us was a “discovered” (dug out) Roman-style amphitheatre where they still have events and concerts. This is actually a fun town for shopping too, if you’re into that. When we arrived back on the boat at lunchtime this day, we had quite the delightful surprise! The crew was hosting a “Provence-style” luncheon… complete with French music and wines and cheeses, etc. It was gorgeous… just what we were hoping for. 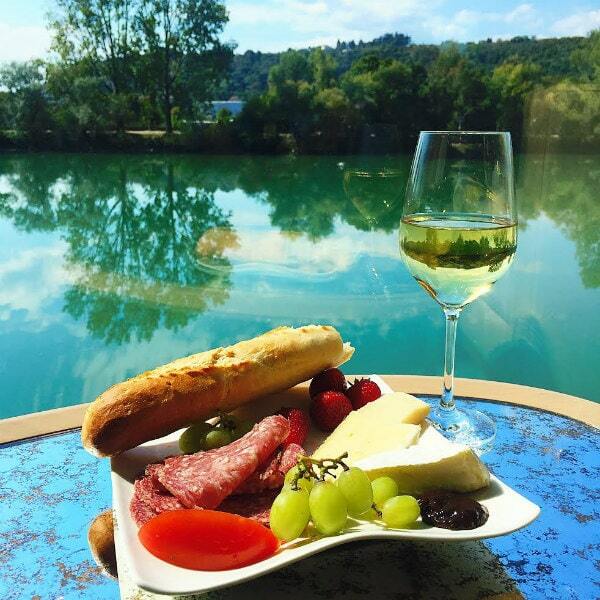 We loaded our plates with all kinds of delicious things, planted ourselves in a seat by the window and enjoyed our cruise toward Lyon. 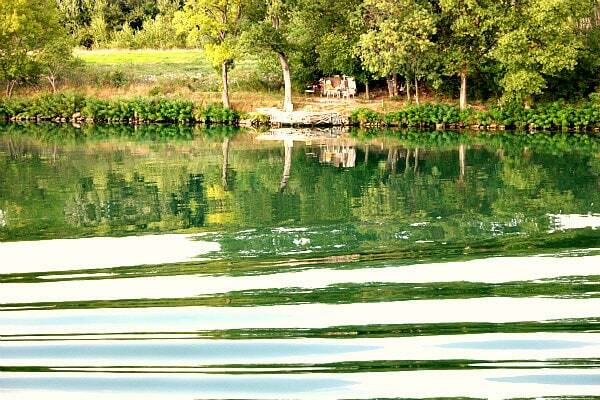 There are many beautiful sights along the river! And of course, chocolate dipped berries! 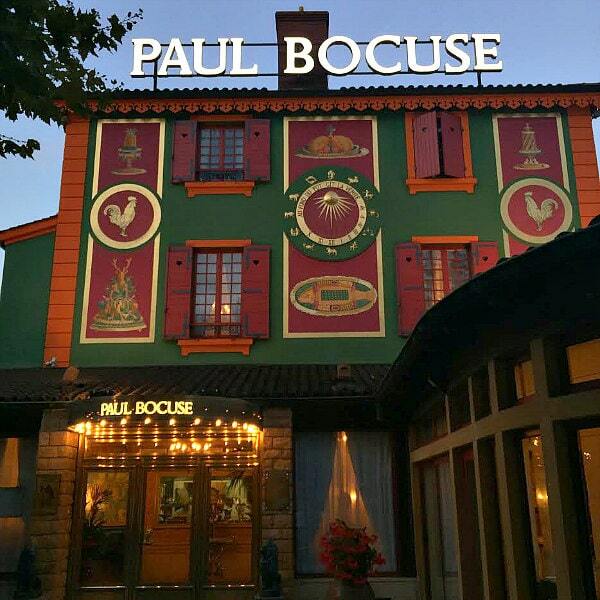 We arrived in Lyon in late afternoon and had made reservations at this Michelin Star restaurant: Paul Bocuse. We took a taxi, so that made the evening even more pricey as it was not close to where the boat docked. Pretty much everyone we talked to said that we shouldn’t pass up this opportunity. 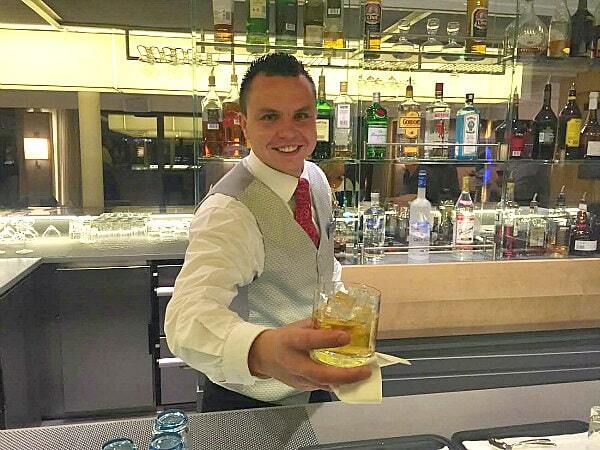 They were totally booked, but lucky for us… a friend of ours in Lyon is a friend of Paul Bocuse. He was able to secure us a reservation. It was a once-in-a-lifetime experience, but it was extremely expensive. I plan to write all about our dinner there in another post! 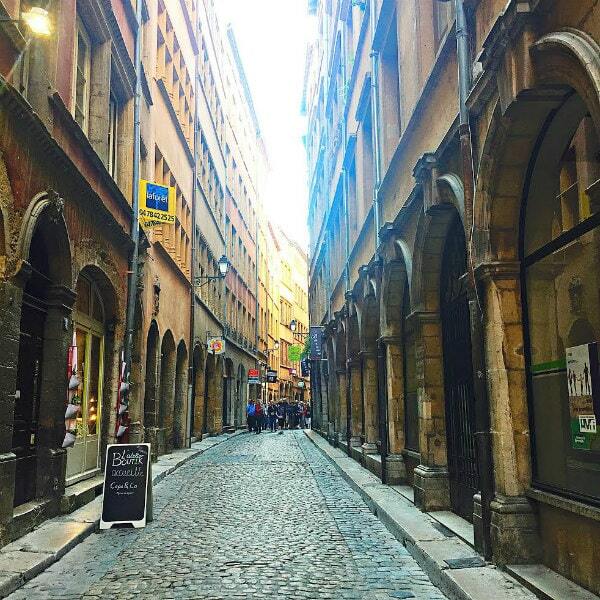 The included cruise tour today was a walking tour of old Lyon. We loved this part of town, and I wished we had more time there. It was adorable… more time to explore and have lunch there would have been perfect! 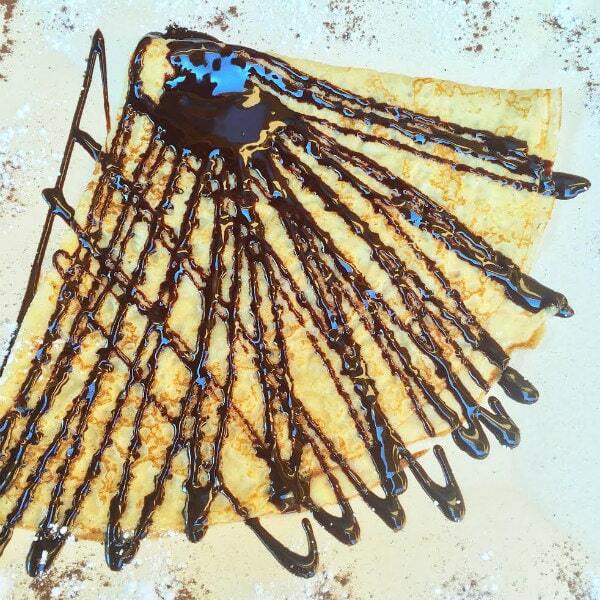 We did manage to find a place to grab crepes and a cappuccino! More old Romanesque beauty in Lyon. This evening was considered the “Farewell Dinner.” I wasn’t feeling well this evening, so they happily accommodated me and brought me dinner and tea to have in my room. 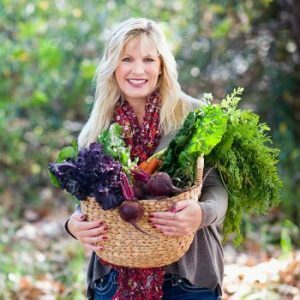 On our final day, I had come down with a cold and wasn’t feeling awesome. We chose to stay on the boat and skip the excursions. Honestly, it was wonderful. Only a few people stayed on the boat that day, so we had a wonderful, quiet boat nearly all to ourselves. 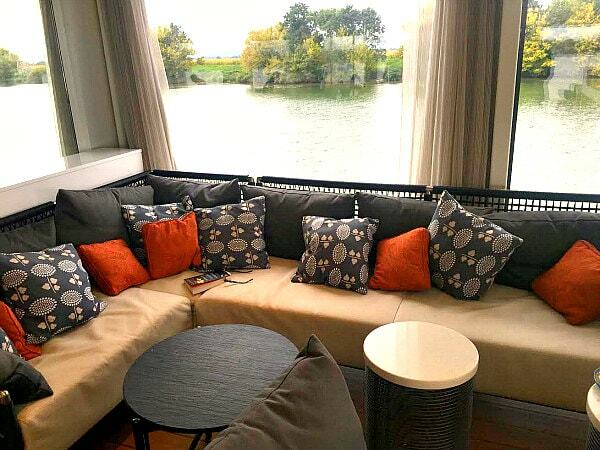 We found this very comfortable setting on the boat, read books all morning, had coffee and tea, and enjoyed the river. We were lucky because the boat left Tournus and cruised until noon- where we picked up the passengers who had left in the morning to go on the day’s excursion. We simply enjoyed the sights along the river all by ourselves! When we arrived in Chalon-sur-Saône, the sky was looking rather ominous. We skipped the afternoon tour and wine tasting in Beaune and walked into the town for lunch instead. It turns out that not many people in this small town speak any English at all. 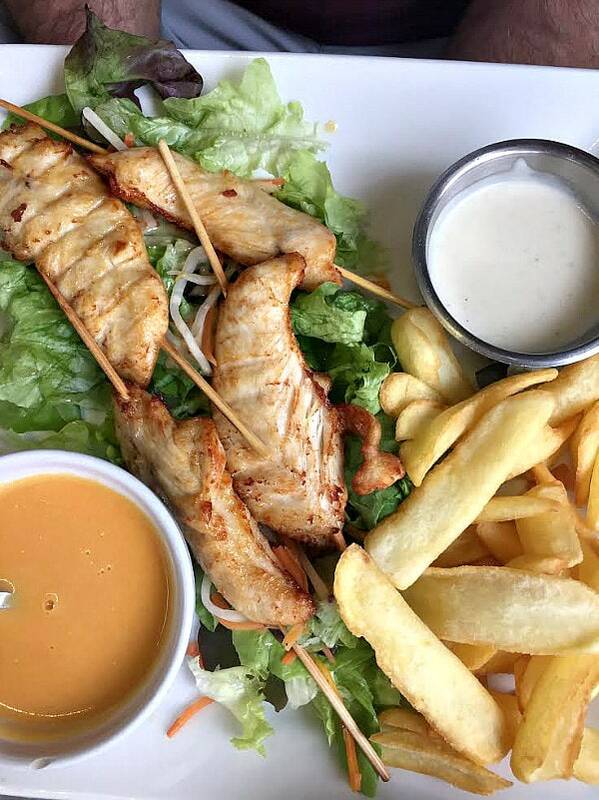 We thought we were ordering sandwiches, but we ended up getting chicken on a stick instead. Ha! It ended up being a rainy day- good for afternoon napping and a glass of wine! 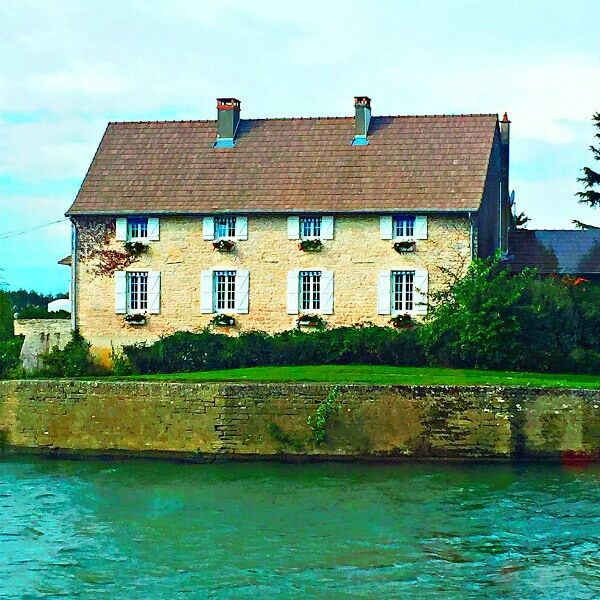 As we continued down the river, we decided that we’d like to buy a chateau that borders the river. Wouldn’t that be lovely?? Our last evening on the boat, we enjoyed the evening entertainment with all of the lovely people we had met during the week. We said our farewells and headed to bed early in anticipation for a very early morning flight out of Avignon. 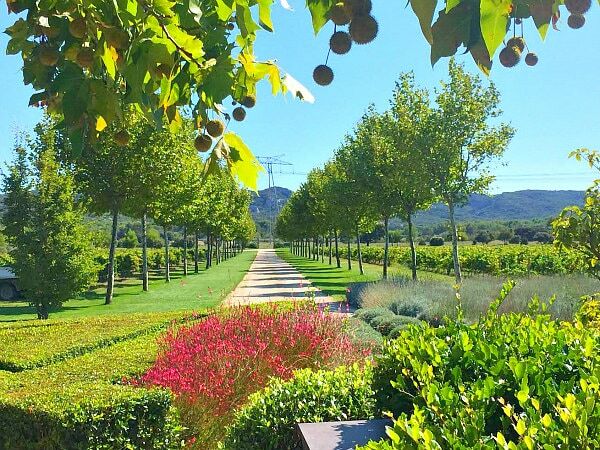 It was a beautiful trip to Southern France, and it was the best way to spend our 20 year anniversary! 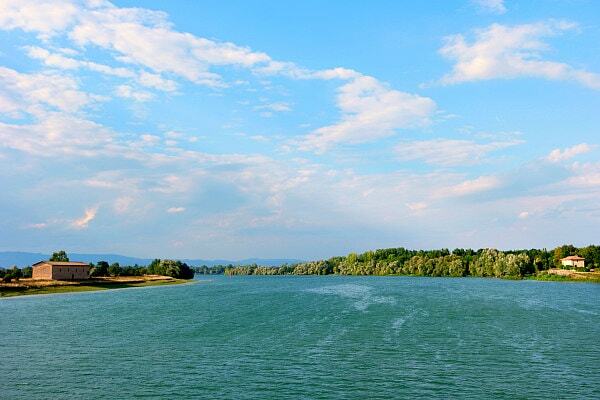 We spoke with many people on the cruise who had been on several Viking River Cruises across Europe. We’d do another one in a heartbeat! 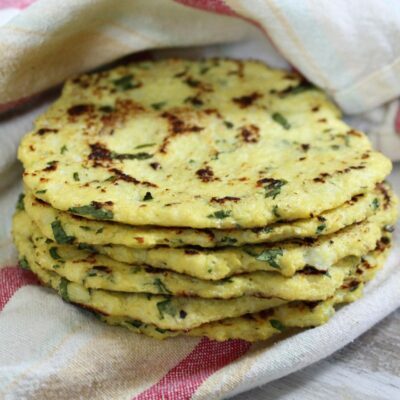 If you want to, you can eat breakfast, lunch and dinner on the boat every single day. The breakfast was easy… just show up and grab things buffet style (eggs to order) or have one of the specialty items on the menu. The food all-around was very good. We like to eat out and experience the food in each city, so we did that whenever we could. The concierge on the boat is very helpful with securing reservations. There is evening entertainment every night. The pianist made things fun with sing-alongs and dancing. There are a lot of excursions that are included in the price of the cruise, and there are few optional excursions to consider if you want to pay for those. The buses that are used for the excursions are luxury. They’re comfortable, clean and cozy. We were very impressed. House wine is included with dinner. Any premium wines or cocktails are extra. 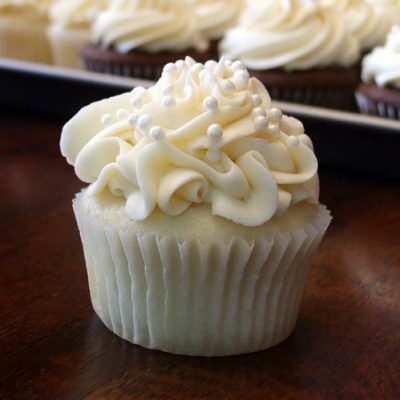 I spoke with the chef, and she assured me that they can accommodate for special diets- dairy free, gluten free, etc. I wanted to note that Viking was AWESOME with transport to the airport. Not only did they transport us to the airport in their luxury buses, but there were representatives who met us at the airport and made sure we made it to where we needed to go before they said goodbye. That being said, we were impressed with all of the Viking staff in general- they were all very professional and appeared to love what they do! 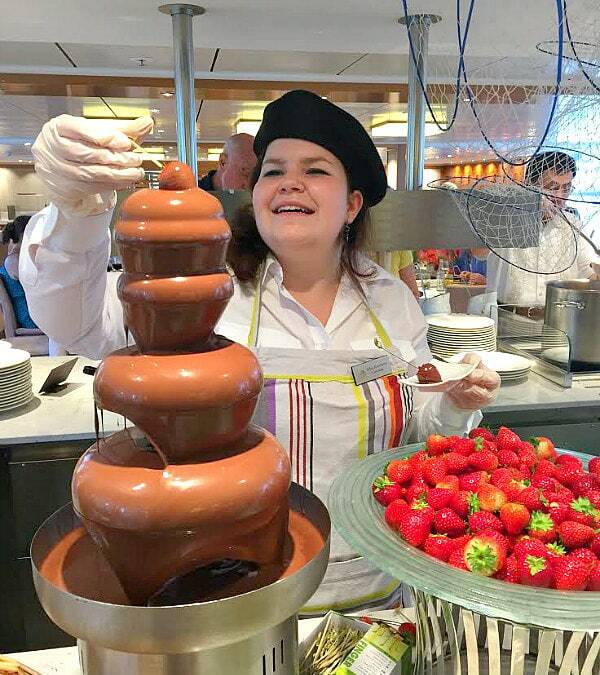 Disclosure: Viking River Cruises invited me to experience one of their cruises so that I could share the experience with my readers. I am so thankful to them for the experience, and all opinions shared are totally my own. I paid for my husband to join me and for any additional experiences we had outside of the regular cruise itinerary. 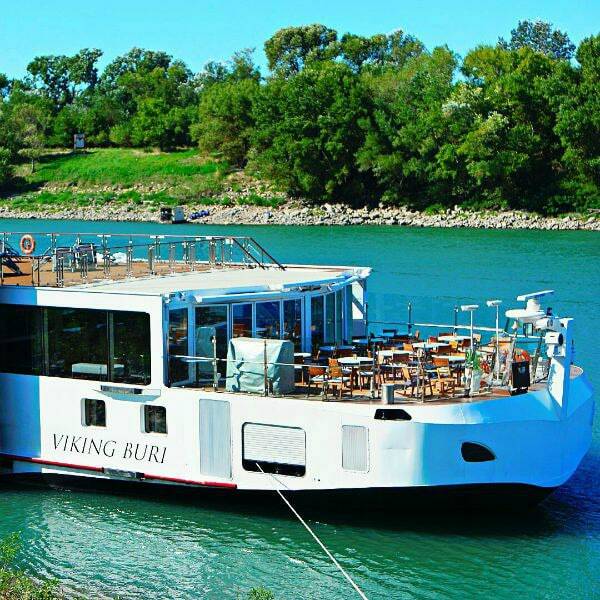 we’ve been talking about Viking Cruises for YEARS! I love how you can see an entire part of the world and hop on and off the boat for daytime excursions!! 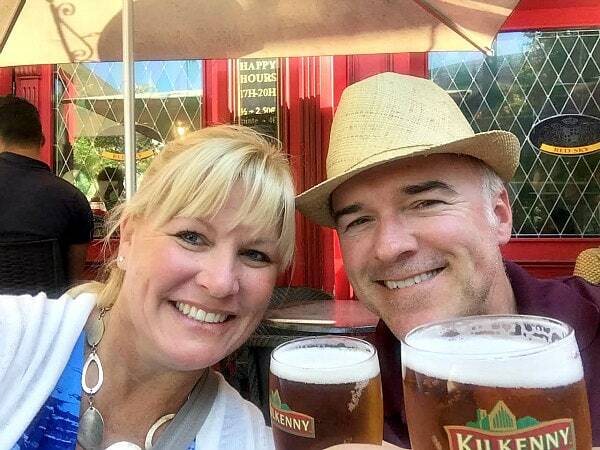 Looks like you guys had the best time! We have wanted to take one for years! You did a great job capturing the splendor! What an amazing adventure! I’ve always been curious about smaller cruises abroad, so I appreciate you sharing your experience. So much culture to absorb in just a few short days! From royal castles-turned-prisons to navigating the locks, to cookie shops and gorgeous scenery sprinkled throughout–it sure sounds like a memorable vacation. 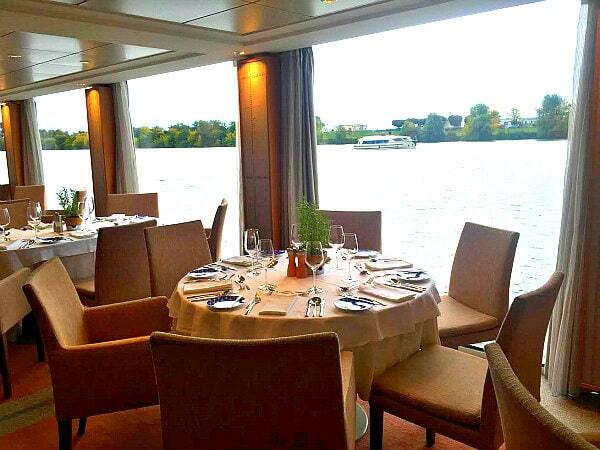 My parents have been really wanting to do a river cruise in Europe – your review came in really handy! Looks like a fantastic time! 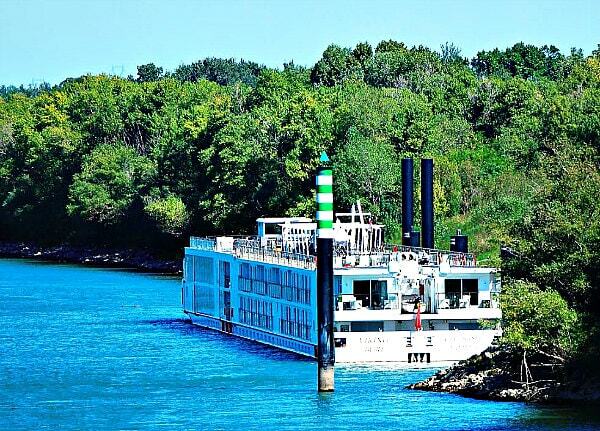 I have always been curious about river cruises like this one. It looks like the perfect way to travel! I’m a huge fan of cruising on the bigger ships, so I know I’d love an experience like this. What a great way to see so many different sights!